Mac Hack VI, also called Mac Hack, MacHack VI and the Greenblatt Chess Program, was a chess program, developed in 1966 and 1967 at MIT by Richard Greenblatt assisted by Donald Eastlake for a DEC PDP-6. It was developed entirely in MIDAS, the PDP-6 macro assembler. The Greenblatt Chess Program was the first computer program to play chess in human tournament competitions and be granted a chess rating . The name Mac Hack VI comes from Project MAC a large sponsored research program located at MIT. Over time, it became a hack in the sense of Hackers: Heroes of the Computer Revolution, a book by Steven Levy in which Greenblatt appears. The number VI refers to the PDP-6 machine for which it was written . 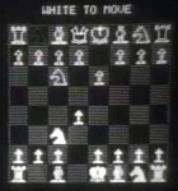 Mac Hack VI was the first chess program which uses a transposition table, but not yet iterative deepening. It regular searched five plies plus quiescence search and a conditional intermediate layer if own pieces were en prise. In his 1970 paper A New Hashing Method with Application for Game Playing , where he introduced Zobrist hashing, Albert Zobrist mentions a possible hashing method to obtain an integer which describes the board configuration, and then to divide the integer by the hash table size and use the remainder as hash address and the quotient as key. However, the integer which describes the board may occupy many computer words, and the divide will be complicated and slow. Further the quotient may occupy several words as well, thus most of the transposition table would be occupied by these keys if type 1 errors were to be avoided. While Zobrist mentions Mac Hack VI used a 32K hash table, he does not made it explicit that Mac Hack used this divide technique. Most of this printout was analysis from the Kotok program. And I also saw some kind of a textual thing, which I don’t believe was Kotok’s thesis, but which had some of the same information as Kotok’s thesis. It was probably some kind of a technical report, or something, that was anticipatory to Kotok’s thesis . Anyway, one of the things I remembered, and which I just talked with Kotok, as a matter of fact, a few days ago, was the detail that they had is Alpha Beta, and so forth, and they had these whips, and the whips were set at 4, 4, 3, 3, 2, 2, 1, 1. In other words, that was how many. It would first look at the top ply. It would look at the four best moves. The next plys, it would look at the three best. Next ply, two best, next ply, one best. Well, I just recognized immediately that that was incredibly wrong. You see, basically looking at only one wide, you just have no signals or noise function. In other words, you look at one move, which you think is the best, but there’s a tremendous amount of noise. Well, you look at some more moves, and if you find that one of those are better, you’ve effectively rejected some noise. Well, essentially the thing that I knew that they did, they were very weak chess players, both McCarthy and Kotok. And basically they had a very romanticized view of chess. And so I knew, however, that chess is a very, very precise game. And you really- the name of the game is take the other guy’s pieces, and you don’t just go along. In any kind of a strong game, you don’t just lose pieces, win pieces, lose pieces, win pieces. I mean, if you lose even a single pawn without compensation, then you may have drawing chances, if you’re lucky. Otherwise, the game is lost. Losing more than one pawn almost invariably results in loss of the game, period. First tournament game by a computer, Carl Wagner (2190) - Mac Hack VI aka "Robert Q", January 21, 1967 . "Robert Q", a computer programmed to play chess, was beaten in its first competition with a human, Carl Wagner. The computer, at MIT in Cambridge, Mass., was operated by Allen Moulton, and R. William Gosper, while Wagner made his moves several miles away in the YMCU in Boston. The moves were relayed into the computer by teletype operated by Alan Baisley. "Robert Q" was entered as an experiment, in the monthly Boylston Chess Club Tournament at the Young Mens Christian Union. And so then as word got around- Well, there was a guy a MIT in those days named Hubert Dreyfus, who was a prominent critic of artificial intelligent, and made some statements of the form, you know, computers will never be any good for chess, and so forth. And, of course, he was, again, very romanticized. He was not a strong chess player. However, he thought he was, or I guess he knew was wasn’t world class, but he thought he was a lot better than he was. So anyway, I had this chess program and basically Jerry Sussman, who’s a professor at MIT now, and who was also a member of our group, had played. It was around and it was available on the machine. People played it, and so forth. And basically Sussman brought over Dreyfus and said, well, how would you like to have a friendly game or something. Dreyfus said, oh, sure. And sure enough, Dreyfus sat down and got beat. So this immediately got quite a bit of publicity. Herbert Simon, an AI pioneer, watched the match. He said  : It was a wonderful game - a real cliffhanger between two woodpushers with bursts of insights and fiendish plans ... great moments of drama and disaster that go in such games. In August 1968, at the 4th IFIP conference held in Edinburgh, Mac Hack running on a PDP-10 won an exhibition match versus a program written by John J. Scott, running on a ICL 1909/5. The game was analyzed by Jack Good, as published in Donald Michie's Machine Intelligence 4 . In 1968, Gerald Tripard, postdoc at ETH Zurich and co-author of the chess program Charly, asked Richard Greenblatt for a match versus Mac Hack VI. Three games were played in October and November 1968 via ham radio , all three won by Mac Hack VI   . In the end of the 70s a brute force version of Mac Hack was ported to the Chess-orientated Processing System CHEOPS  , one of the first dedicated hardware approaches in computer chess, which original conception and hardware design was instrumented by Edward Fredkin. Unfortunately it never competed against other programs of that time. Monroe Newborn (1975). 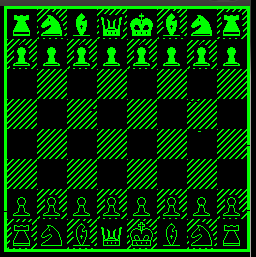 Computer Chess. Academic Press, New York, N.Y.
↑ Hubert L. Dreyfus (1972, 1979, 1991). What Computers Can't Do.